Home > Toys and Games > Classic Toys Made From Recycled Materials - No Phthalates or BPA. How safe are your child's toys? So many toys are made with toxic chemicals and plastics, and there are other hazards, such as lead paint. Prolonged exposure to these poisons can result in health problems. Keep your children and the environment safe by purchasing Green Toys from Today's Concept. These playthings are comprised of eco-friendly materials. You will find a wide variety of classic toys, such as building blocks and tea sets. All toys are made with 100 percent recycled plastic and they are free from toxic phthalates and BPA. Made in the USA and designed to last, buying a Green Toy saves enough money to run your TV for three weeks. The toys even ship in 100 percent recyclable boxes. 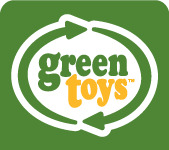 The Green Toys California location will also help to reduce your child's carbon footprint. All toys are shipped directly from company headquarters, so there's no unnecessary carbon emission. Even a simple milk container does the planet a favor. You can also pick up eco-friendly racecars, jump ropes, toy boats, and sand toys. Today's Concept offers great deals on these responsible items. You won't have to spend a lot of money to purchase a safe, entertaining toy for your kids. So, consider picking up a Green Toys planting kit or a two-pack of Green Eats bowls. All toys undergo rigorous safety testing and they also pass through voluntary testing.